Recommendation 19: A review should be undertaken of the non-fiscal penalties which could be made available to Magistrates in dealing with uninsured drivers. (Not implemented and, since the Criminal Justice and Immigration Act s.11, it is not permissible to impose a community sentence unless the offence is imprisonable). The actual offence is to be found in Part VI of the Road Traffic Act 1988 - section 143 and is triable summarily. The maximum sentence is a fine of Level 5 (currently £5000) with 6 to 8 Penalty points and Disqualification is also a possibility. 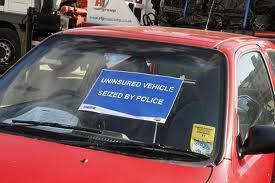 However, Fixed Penalty Notices are possible - see Road Traffic Act 1988 section 144C. The fixed penalty is currently set at £200 but 6 penalty points are also awarded. The section 143 offence requires the prosecutor to prove that the defendant used (or caused or permitted another person to use) a vehicle on a road or other public place. Having done that, it is for the defence to prove (on the balance of probabilities) that the use was covered by insurance (or a relevant security). The offence can be committed in a very wide range of circumstances from the conscientious individual who (after years of proper insurance) overlooked the need to renew or believed on reasonable (but mistaken) grounds the use was covered to the individual who deliberately chooses not to insure, probably because he perceives the cost of insurance to be so high and the possibility of detection so low that he considers it a risk worth taking. Consider range from 7 points – 2 months disqualification where vehicle was being driven and no evidence that the offender has held insurance. Consider disqualification of 6 – 12 months if evidence of sustained uninsured use and/or involvement in accident. This is set by the guidelines at 150% of "Relevant Weekly Income" (RWI). However, Band C can be in the range 125% to 175% of RWI. Where an offender is in receipt of income from employment or is self-employed and that income is more than £110 per week after deduction of tax and national insurance (or equivalent where the offender is self-employed), the actual income is the relevant weekly income. Where an offender’s only source of income is state benefit (including where there is relatively low additional income as permitted by the benefit regulations) or the offender is in receipt of income from employment or is self-employed but the amount of income after deduction of tax and national insurance is £110 or less, the relevant weekly income is deemed to be £110. In calculating relevant weekly income, no account should be taken of tax credits, housing benefit, child benefit or similar. Thus, assuming an offender with income £200 per week then the Band C fine is in the range £250 to £350. When a fine is imposed, the "Surcharge" must also be imposed. From 1st October 2012, under the Criminal Justice Act 2003 (Surcharge) Order 2012, this will be 10 per cent of the value of the fine (rounded up or down to the nearest pound but it must be no less than £20 and no more than £120). Thus,when the fine is in the range £250 to £350 an additional £25 to £35 will be ordered by way of surcharge. In March 2012, the House of Commons Public Accounts Committee was scathing of the Ministry of Justice efforts in relation to collection of fines - report. The report said - Over the last five years, whilst the Ministry has increased the monies collected through fines, the amount outstanding has increased even more. 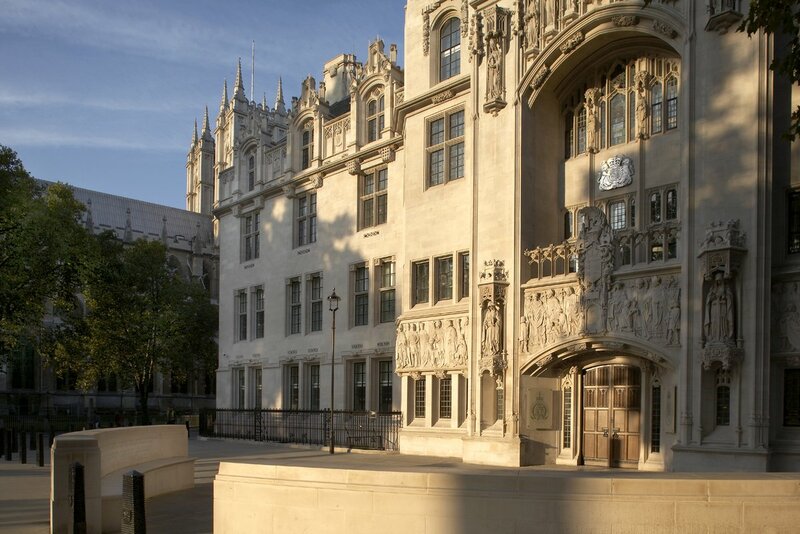 HM Courts and Tribunals Service needs to improve its collection rates and should focus in particular on the timeliness of collection given that it is easier to collect fines nearer the time of imposition. At the time of the report the amount of money outstanding from fines imposed by courts was growing and stood at over £600 million. For this offence see the Road Traffic Act 1988 section 144A (and 144B for exceptions). If a motor vehicle registered under the Vehicle Excise and Registration Act 1994 does not meet the insurance requirements, the person in whose name the vehicle is registered is guilty of an offence. See the Motor Vehicles (Insurance Requirements)(Immobilisation, Removal and Disposal) Regulations 2011 and the Department for Transport announcement of 18th April 2011. All in all, a bleak picture! "Things have changed over recent years and far fewer fine defaulters are imprisoned now. I hope that my figures are accurate: in 1994 22,469 males were imprisoned for an average of seven days and 1,454 women for an average of five days; by 2001 those figures were greatly reduced to 1,382 males for an average of six days and 73 females for an average of two days." On 31/10/1995 414 fine defaulters were in custody. On 30/06/2004 there were 52 fine defaulters in custody. It would appear to the untrained eye that amounts of fines outstanding increase as the number imprisoned for non payment reduces. In other words deterrence just doesn`t exist for those who don`t pay. Perhaps we should not be too quick to disavow ourselves of the methods used in some southern United States. I can vouch for the rate of $1 per day in a County Prison for every dollar owed after all other methods have been exhausted in attempts by the court to get its money. An excellent summary of the situation regarding "no insurance" offences, and the dilemma facing courts. The Magistrates' Association has made repeated representations on the matter, but its concerns about the contradictory messages sent out by Government on this front have been ignored, along with those of other interested parties. Yes, the financial penalty seems too low, but don't forget that 6-8 penalty points - or even disqualification - also go with the offence. If the offender doesn't then get insured he/she will be off the road next time, although many of those we see have neither insurance nor licence, so they don't really give a damn. As a last resport, custody for driving whilst disqualified tends to concentrate their minds. Jaguar is right in pointing to the penalty points. An offender who gets to 12 or more points is liable for disqualification under the "totting up" process. Driving whilst disqualified is certainly regarded as a serious matter and it is an imprisonable offence which brings in the possibility of community sentences as well as imprisonment. Of course, imprisonment is not a foregone conclusion - see the Guidelines at page 122 for the offence of driving whilst disqualified. We should abolish third-party insurance and pay damages (including e.g. loss of earnings which MIB does not cover) out of a levy on petrol. To be sure there will be winners (high-risk low-mileage drivers) and losers (low-risk high-mileagers) but all the honest drivers (the ones who insure) will benefit by not having to support the dishonest ones (the ones who don't) through MIB. If we persist in having third-party then it must be rigorously enforced. Uninsured cars should be confiscated, regardless of the number of children and elderly passengers left stranded; the offence should carry mandatory disqualification as it did until 1970; imprisonment should be mandatory for driving while disqualified. So much better to levy it on petrol and design out the crime!